I don’t know of anything else for a handful of dollars that can give as much joy as a book with beautiful pictures in it. Yes, I love to read “real” books but I have been hooked on art books, photography books, travel books, anything VISUAL for as long as I can remember. And why not? It’s the ultimate in arm chair travel and stimulates your visual appetite in ways that you can always find some way to translate to your own life. I have some collection of art/decorating/photography books in almost every single room in my house — from coffee table books on, you guessed it, the coffee table in the Family Room….to piles of art books stacked both on top of and below the table in the Living Room….to climbing towers of lovely decorating books perched beside my bed. 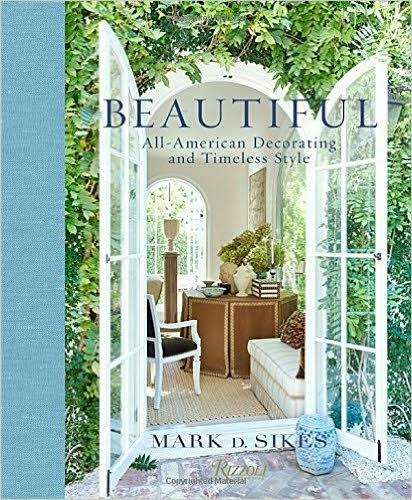 Some books are new friends - I’m particularly obsessed with Tom Scheerer Decorates, Mark Sikes’ new book “Beautiful,” and a book I got in Paris at Flamant called D’ici et d’ailleurs. Still, other books have been with me seemingly forever. I’m a good curator — I only keep my absolute favorites — and those most treasured ones are in my Home Office. Kind of like the best of the best! From childhood favorites complete with my own scribbles, to a beautiful book by Winston Churchill about his 2nd career as an artist (he was very talented! ), this is where I keep my prized possessions. I could never part with the Dorothy Rodgers and Billy Baldwin books that were passed from my grandmother to my mother to me. They are timeless tomes of style and carry great meaning because I know that three generations of women in my family have enjoyed them!